The 10 graduates of Temima High School — poised with nervous smiles while gripping red roses — slowly marched in a processional through the 100 or so seated guests at Congregation Beth Jacob on Thursday night, June 11. Temima founder Rabbi Menachem Deutsch celebrates the graduation of daughter Malka. a tribute to what these young women will become when they set the tone of love, spirituality and personal growth for all those around them. The words are found in the Book of Proverbs and accredited to King Solomon. Outgoing board President Harold Stiefel was the first to address the crowd, encouraging the girls to thank their parents and to use the time to reflect and be proud. “After tonight, these girls are going out” into the world, he said. Rabbi Ilan Feldman of Congregation Beth Jacob, who had to catch a plane to Phoenix for his grandson’s brit milah, spoke about and introduced Rabbi Menachem Deutsch, the evening’s honoree, who was instrumental in raising the funds to create and grow Temima. Rabbi Feldman noted that Rabbi Deutsch, who led the Atlanta Scholars Kollel for 25 years, “built and strengthened every Torah institution in Atlanta,” including the Toco Hills eruv, the mikvah, Congregation Ariel in Dunwoody and the finances of Torah Day School of Atlanta. He was the founder of Temima, a girls high school with no building, no staff, no support and no money. Temima just finished its first year in a new, state-of-the-art building on the campus of Beth Jacob after years in temporary classrooms next to Torah Day School down LaVista Road. He remarked on Rabbi Deutsch’s unending humility despite his power, reliability and successful leadership. He said Rabbi Deutsch is blessed with the “Midas touch,” though G-d does the touching while he serves as His agent. Sending girls to Temima is “an investment with infinite returns,” Marks added. Seven of the 10 graduates gave moving speeches that were specific to their own interests and experiences but connected flawlessly to their faith in G-d and their character refinement. The powerful speeches drew gasps of enthusiasm, as well as tears and applause. 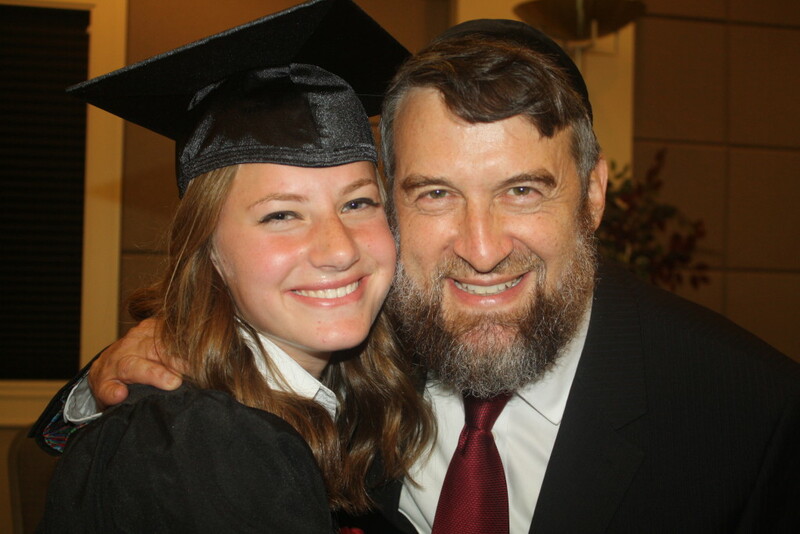 “There is no event that I would rather be recognized than at the Temima graduation,” said Rabbi Deutsch, whose third daughter, Malka, was graduating. “I cry every year,” he said of the ceremony, which is known in the community for its emotional impact. He spoke of the magic of Temima, which “captures the minds and souls” of its students. Indeed, the Hebrew word “temima” means complete. As she and Jean Katz, who helped fund what is officially the Richard & Jean Katz High School, handed out diplomas, Feldman read a short poem she had prepared for each girl, encapsulating her unique strengths in a few heartfelt words. “Each girl is a different world,” she said.